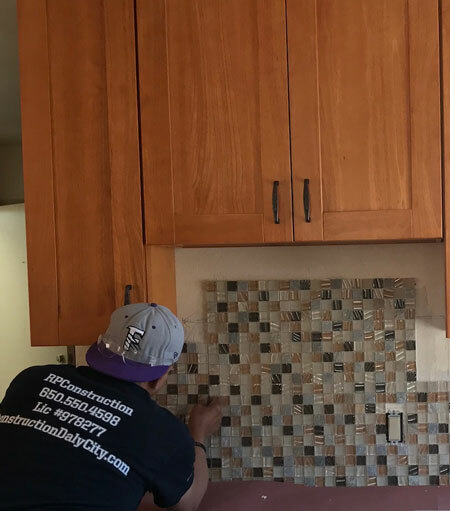 RP Construction Daly City is fully licensed and Insured family owned and operated General Contractor since 2002 serving San Francisco Bay Area. Experienced. Professional. Attention to detail. These are just a few of the areas that RP Contractors have mastered. For over 20 years, we have prided ourselves in the quality work we have provided to all of the customers we have worked with. Our mission is always to fully understand our customers’ goals & to deliver the best possible results in a timely manner. Based in Daly City, CA, we are experienced contractors available for work in the San Francisco area, and the peninsula, as well as south bay. No Job too small, each customer is equally important. If you are looking for experienced professionals who are honest, reliable & experts in their field, you’ve found us. Please contact us with any questions or to schedule a time to evaluate & price your project.